DOP-200 Dual Pump– SOS Safety International Inc. 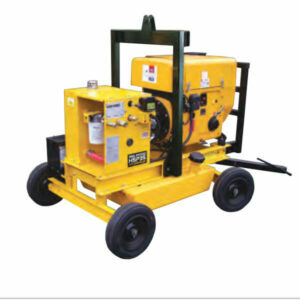 The new model of Offloading Pump is called the DOP-200 DUAL. It is based on the internationally proven DOP-160 and DOP-250 DUAL pumps. 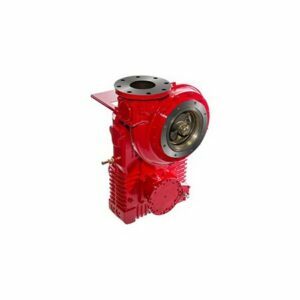 The lightweight and powerful DOP-200 DUAL offers the pumping performance of the vertical screw design and incorporates new features to improve versatility and ease of maintenance. The pump can be configured for use in Skimmer Mode with a side (horizontal) discharge. 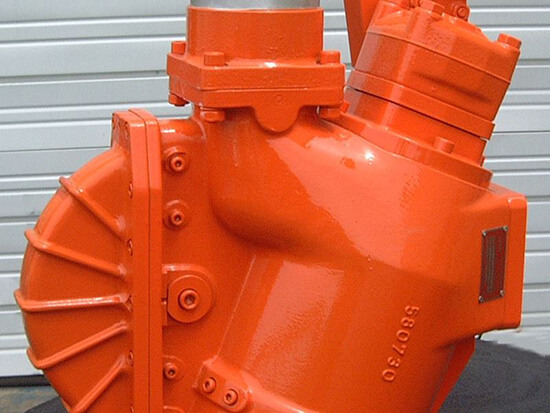 This provides an unobstructed flow into the pump inlet. In Transfer Pump Mode, the discharge can be on the side or end (inline) for maximum operational flexibility. 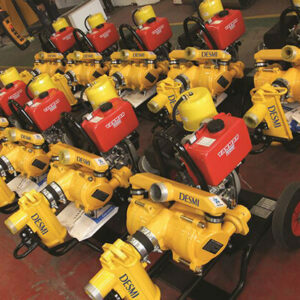 The DOP-200 DUAL is available with a variety of systems to make the most of the pumps’ capabilities. The DOP-200 DUAL features a single piece cast pump casing and stainless steel wear plates to protect the plate wheel cover. 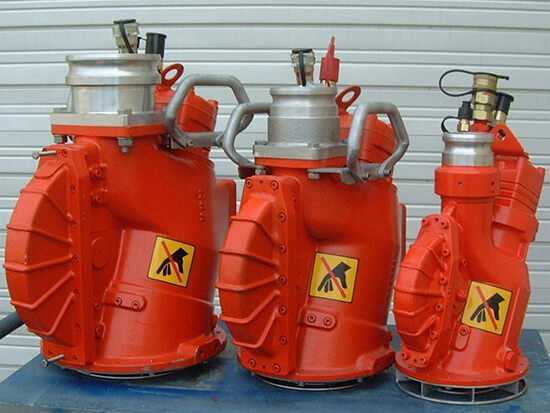 The new housing design allows the pump Screw and Sealing Ring to be withdrawn from the end of the pump for inspection. The discharge branch location can be changed quickly and easily using hand tools. The DOP-200 DUAL is very versatile and can be used in a wide variety of applications – such as emergency response, offloading, fire fighting or contract cleaning work. It is capable of pumping a wide variety of liquids from water to highly viscous mud and sludge – even when contaminated with trash. It is capable of pumping in excess of 66 cubic metres per hour (290 US gallons per minute). The DOP-200 DUAL provides high performance and compact dimensions. The DOP-200 DUAL is capable of handling solids up to 40 mm / 1½” diameter. A cutting knife is fitted to the leading edge of the screw. Standard Materials Seawater resistant aluminium casing, high tensile plate wheel, High Alloy Steel Screw.